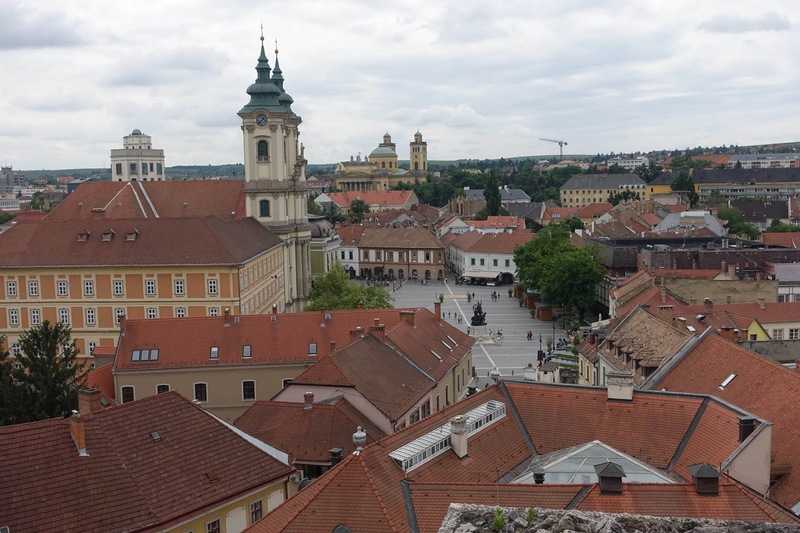 We only spent a couple of nights in Hungary. 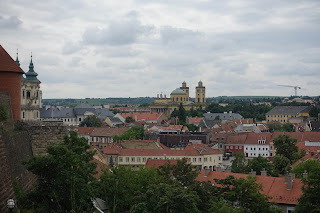 We visited Miskolc and Eger. 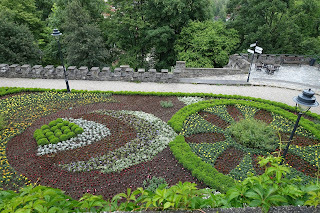 We also drove through the Bukk Mountains, stopping in Lillafured to walk through the hanging gardens. 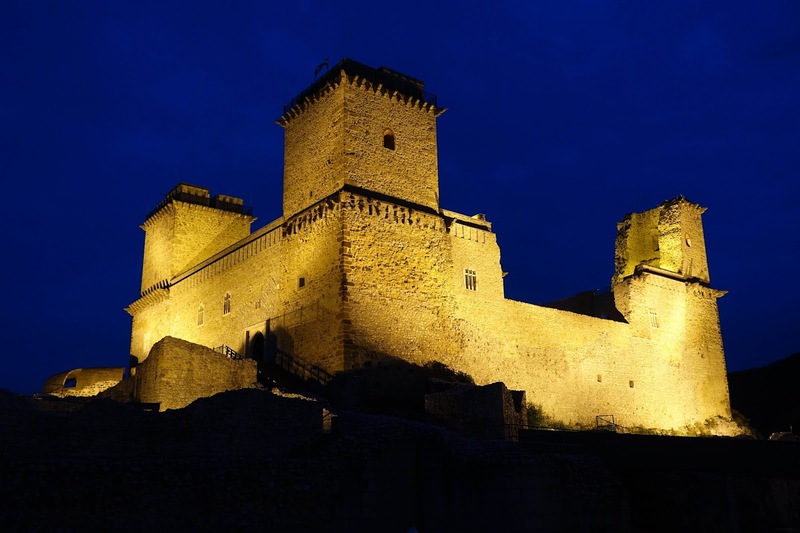 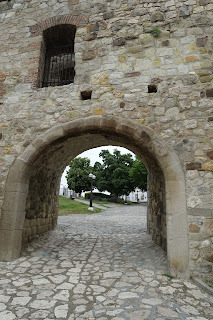 Castle of Diosgyor in Miskolc. We camped for free in the carpark. This was our view. 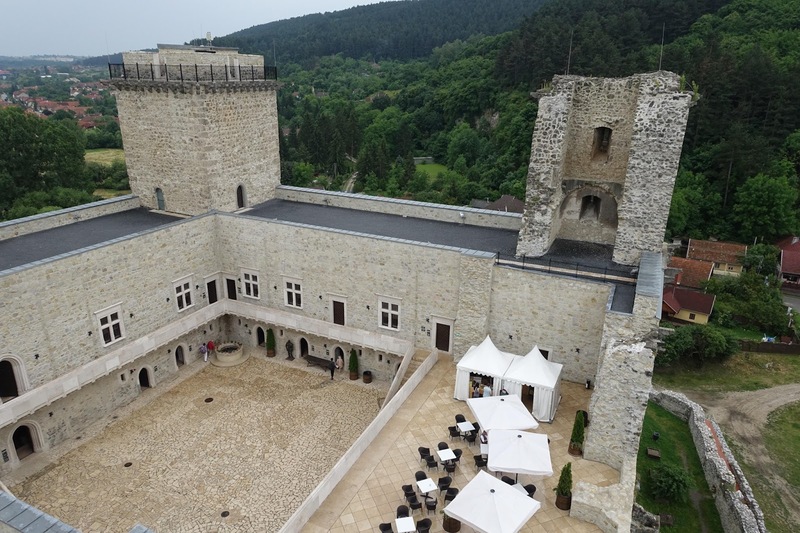 The castle inner yard from one of the towers. 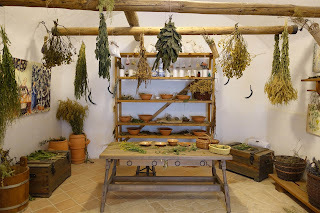 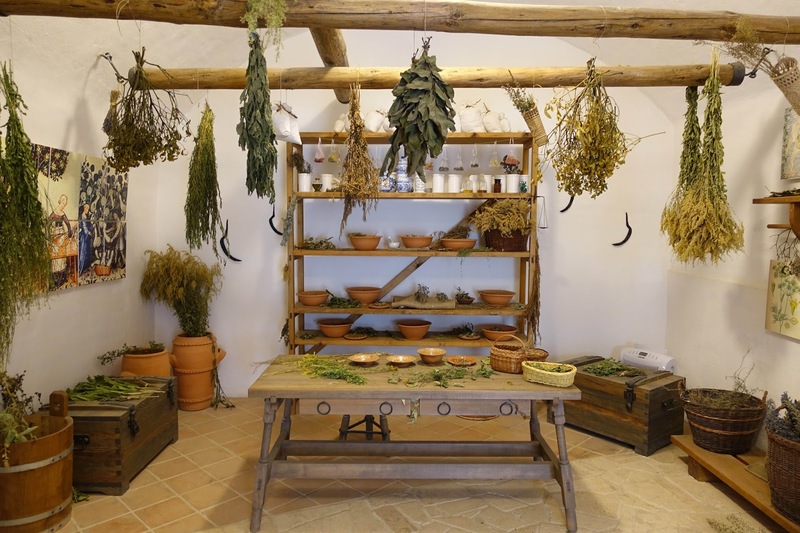 The herb room. The castle had rooms displaying different activities from the medieval times. Trying on a helmet for size from the metal workshop. 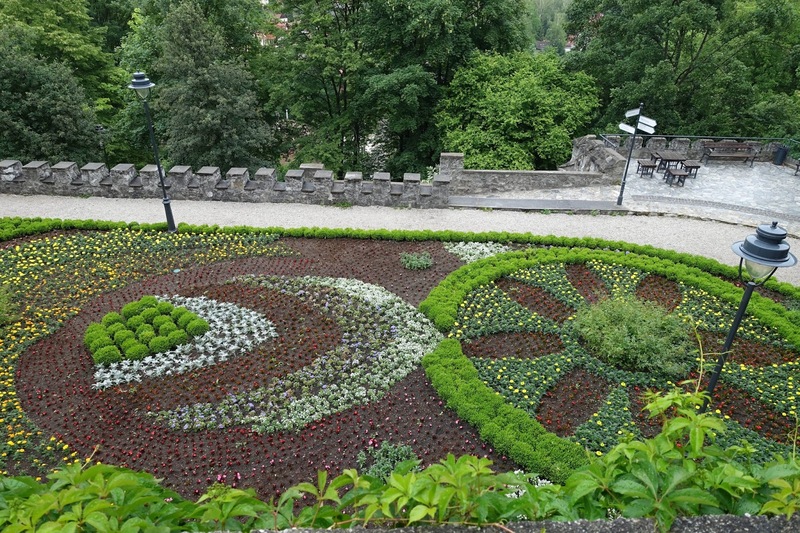 The Terrace of Flowers. One of the terraces in the hanging gardens of the Palace Hotel. 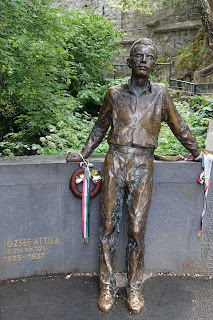 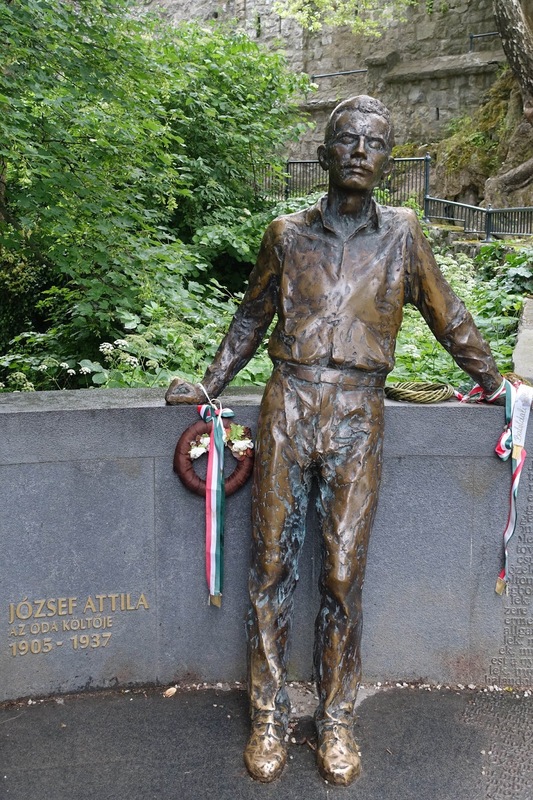 Statue of the poet Jozsef Attila. 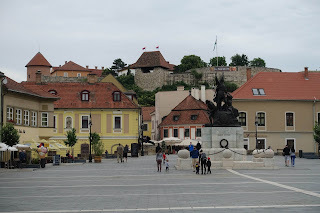 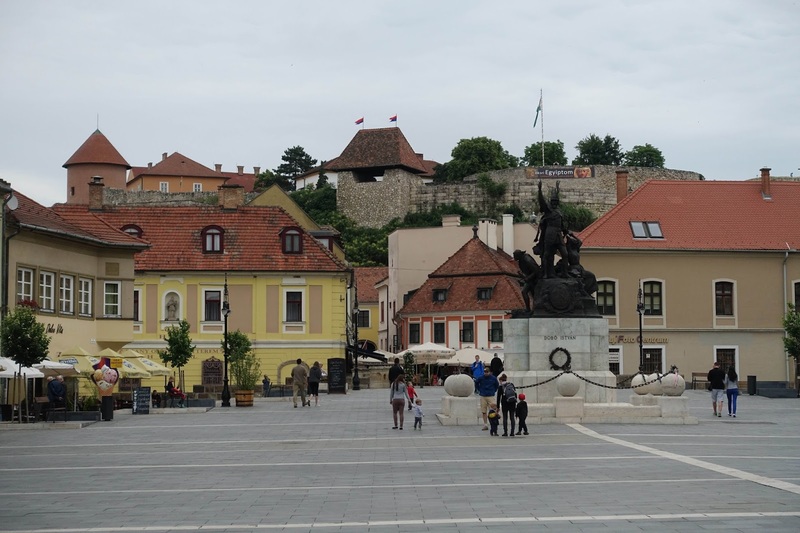 Dobo Square with Eger Castle in the back ground. Sidewalk cafe. 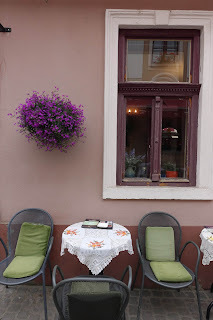 Notice the lace with hand embroidered flowers table cloth. 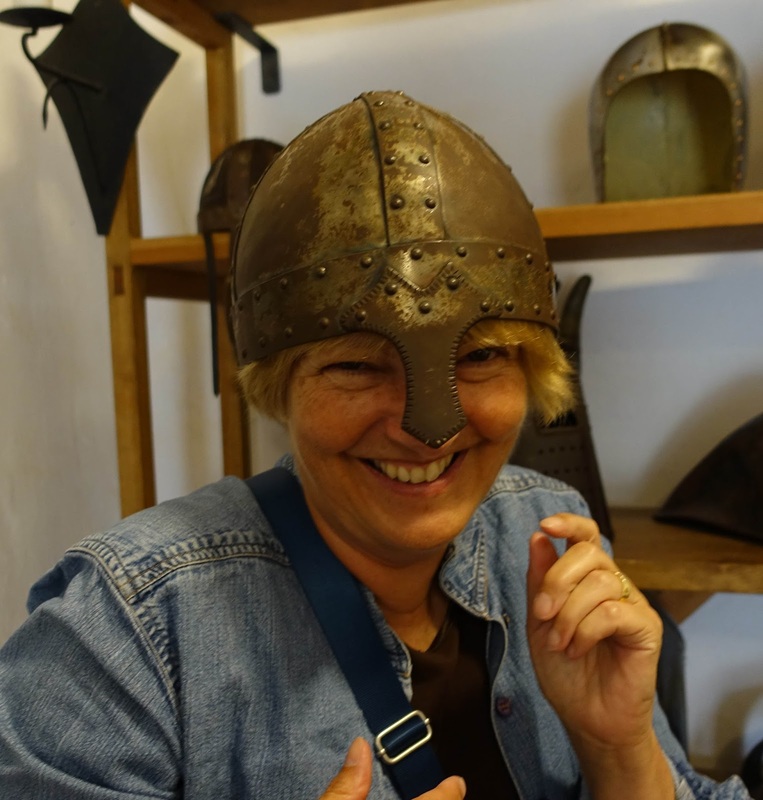 We saw several cafes that had these. 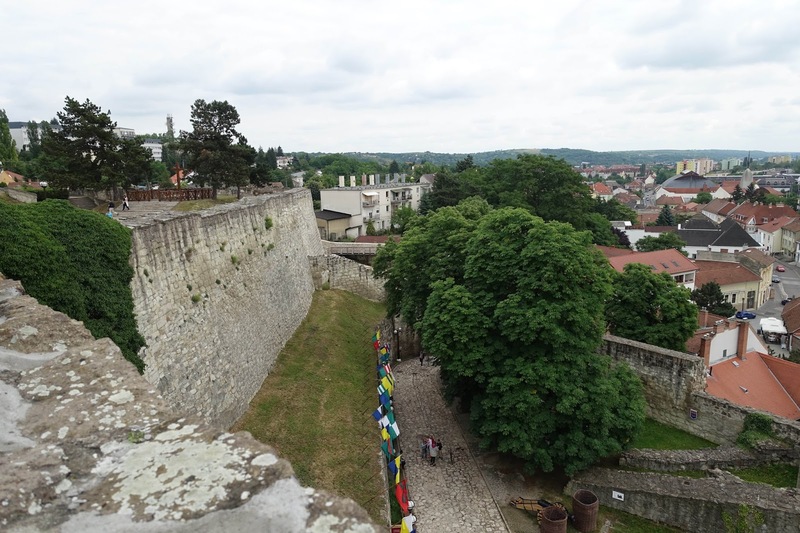 Views of the castle walls. 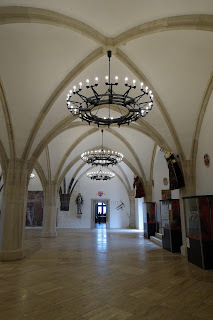 View of the inner yard of the castle. 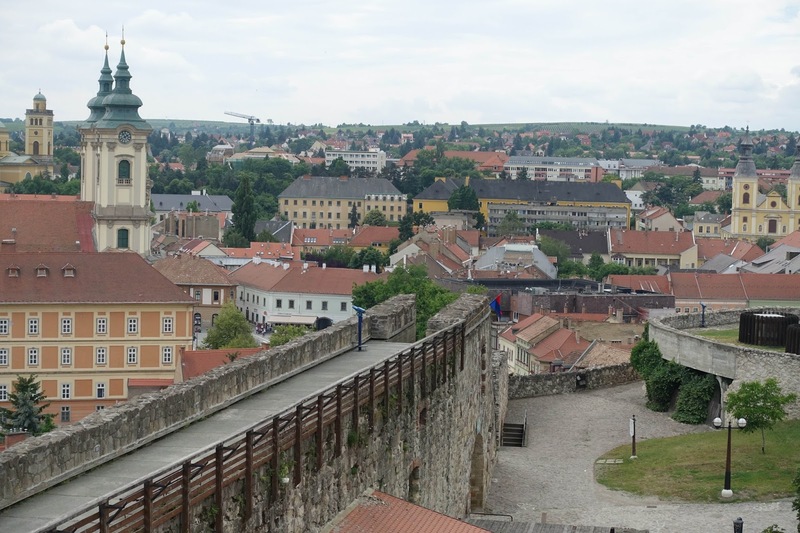 Dobo Square from the castle wall. A short time in Hungary - off to Slovakia.